In February, Congressman Keith Ellison reintroduced H.R. 1034, known as the Zero Waste Development and Expansion Act. The bill creates a grant program within the U.S. EPA that would be funded with up to $100 million of investments in zero waste infrastructure. The bill has currently been co-signed by 13 members of Congress. Last month, (along with GAIA, the Institute for Local Self-Reliance, the Sierra Club, United Works and the American Sustainable Business Council) Eureka traveled to Washington, D.C. to participate in a briefing on the bill. There has never been a more important time for this bill and to begin moving beyond diversion goals by connecting investment strategies to zero waste plans that provide broad benefits to our economy, create jobs and address the issues of climate change and environmental justice. Below, we’ll lay out four specific reasons why we support the legislation. China’s National Sword has shown the need to improve the quality of material recovered through recycling and the importance of increasing the opportunity to market and process those materials domestically. 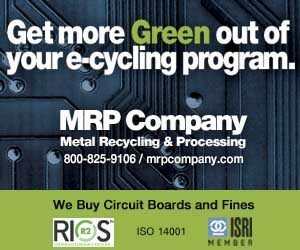 As China has become a critical export market for our recyclables in the United States over the last decade, recycling facilities around the U.S. are scrambling as China is pushing back against the historic high levels of contamination found in material exported to them. These are symptoms of a system that sacrificed material quality and marketability for increased diversion rates, low labor costs and convenience. The fact that this is a zero waste bill and not a recycling bill makes all the difference. By recycling with a zero waste goal in mind, versus only diversion goals, many of these issues are addressed. A zero waste goal focuses on reducing our need to extract resources, not use recycling as an avenue to justify the unsustainable consumption of one-time-use packaging. For every bag of discards a resident has, 71 one bags are used in manufacturing, according to ILSR. That’s why recycling alone doesn’t solve the problem. There are better ways to manage discards so that nothing ends up in an incinerator or landfill. So that nothing is wasted. In order to get to zero waste we have to rethink every part of the supply chain, from production to consumption to disposal. We need to focus on systemic changes that result in more durable products, reuse, refillable and repair opportunities, and utilization of compostable products where appropriate. This will help ensure that items ultimately destined for recycling are cost effective to process and don’t create additional contamination. Zero waste infrastructure investments include creating a more robust domestic infrastructure for manufacturers to use recycled content, reducing our need to export and increasing local economic development and job creation opportunities. As a zero waste organization, Eureka Recycling has demonstrated for over 16 years that commitment to local markets and high quality material sorting results in a more sustainable recycling program that can weather the impacts of export and financial recessions. Eureka’s single-stream MRF processes over 90,000 tons a year of residential recycling streams from the cities of Minneapolis and St. Paul and other parts of the Twin Cities metro area. Our residual rate is under 7 percent and over 90 percent of our material is marketed regionally and supports local economic development. Our low residual rate and quality material comes from a deeply ingrained management philosophy around quality and investments into education. Zero waste is one of the fastest, cheapest and most effective strategies to address climate change. This bill specifically uses the peer-reviewed Zero Waste International Alliance (ZWIA) definition for zero waste that does not include the burning of garbage for energy. This is critically important because burning waste emits carbon dioxide and nitrous oxide, both greenhouse gases that contribute to global warming. In fact, incinerators produce more carbon dioxide per unit of electricity than coal-fired power plants. The average trash incinerator in the U.S. directly emits an average of 2.5 tons of carbon dioxide and 2.8 tons of nitrous oxide per megawatt-hour. We can create good, safe jobs through recycling, composting, reuse and repair. Achieving a 75 percent diversion rate for municipal solid waste (MSW) and construction and demolition debris (C&D) by 2030 will result in 2.3 million total direct jobs – 1.1 million more than a “business-as-usual” base case scenario, and nearly 1.5 million new jobs in manufacturing, collection, and other careers, according to a report by the Tellus Institute. Since our facility opened in 2004, we have paid over $50 million in salaries and benefits for good, green, local jobs. We currently employ over 100 people. We believe a key part of a zero waste philosophy includes that we do our work prioritizing safety and worker health, the highest environmental and human health benefits, family-sustaining wages, schedules and full-time employment for staff. This includes staff in our sorting positions, which is rare in the recycling industry, where you typically see a lot of temp workers with low wages, safety risks and no benefits. We made this a priority because we believe that along this zero waste journey it’s important to uphold that people are also not waste. These points are especially true given the recent industry trends for worker safety in MRFs. Zero waste helps address environmental racism. The impacts of extraction, consumption and disposal disproportionately impact low-income communities and communities of color due to where facilities are sited. No matter where these facilities are located, those communities are most impacted and often end up being the most under-resourced communities. Only zero waste provides a real solution, by reducing our need to continue the “take, make, waste” paradigm. By using discards as feedstock for new products we reduce our need for extraction and disposal, and through reuse and repair, we can keep products in use for longer, reducing our needs for consumption. This is again why it’s critically important that this bill uses the ZWIA peer-reviewed definition of zero waste that does not include waste to energy. The benefits of investing in zero waste infrastructure can not only protect our existing recycling and composting work, but they can also increase our local economic development, job creation, and worker safety, and help mitigate the impacts of climate change. These are issues that we all care about, issues that will make our country economically stronger and protect our human and environmental health. While diversion goals help move us in the right direction, zero waste plans provide accountability to look beyond profits alone and ensure that community impact is the focus. It’s time to start looking at these issues within the context of zero waste and Congressman Ellison’s Zero Waste bill provides an opportunity to show your support. Lynn Hoffman, Kate Davenport and Alex Danovitch make up the Executive Leadership Team at Minneapolis-based Eureka Recycling.